Justin Welby, the Archbishop of Canterbury, was recently interviewed on the BBC's Disability Talk programme along with two of his daughters about faith and disability. One daughter, Katharine, has mental health conditions while another Ellie has learning difficulties and dyspraxia. In the interview Justin spoke about how he prays for Katharine's mental health to improve but not for Ellie's conditions as they are a part of making her who she is. ReutersArchbishop Justin Welby and two of his daughters spoke about disability in a BBC programme. In the interview they also discussed the challenge of praying for healing, both in terms of Ellie struggling to understand why she hasn't been healed and Katharine's discomfort in terms of the way some people have prayed for her to be healed. I thought it was incredibly brave and powerful for them to be interviewed together. Too often we don't talk about the tough stuff in church, the struggle, the doubt and the confusion. Similarly those of us in Christian families don't always create space to talk about the elements of faith we struggle to understand. The interview showed that this is not a taboo in the Welby family. As a result even though Justin's daughters have found faith and church challenging they appear able to be working those challenges through as a part of the church. The Welby parents have clearly done a good job of investing in their kids and building a healthy platform for them to explore life and faith. I'm afraid I met lots of people at my University Christian Union whose vicar dads had been so busy investing in the church they'd had little time left for their own family. As someone who's been involved in some form of church leadership for most of my time as a parent I've always been aware that no one can do the job of fathering my kids that I've been given. When Justin Welby took over as archbishop I, along with many others, was excited because this was a guy we were pretty sure actually believed in God. I don't want to disparage any of his predecessors but it's not always been that clear what they stood for. There have definitely been those in the past who seemed to err towards the idea of God as a concept, which when you're up against it is about as much help as a chocolate teapot. Welby and his daughters seem able to grapple with the fact that God is real but that we don't always understand what he's doing or not doing and why. Still we know him as our source: 'I lift my eyes up to the mountains, where does my help come from? My help comes from the Lord, the maker of heaven and earth' (Psalm 121). One of the best books I've ever read is Unapologetic by Francis Spufford. At one point, he rounds on the Richard Dawkins bus poster – 'There's probably no God. Now stop worrying and enjoy your life' by brutally questioning the idea that a life without God is one likely to be characterised by enjoyment. History and society suggests otherwise. When my wife and I lost our son, Ben, we understood God less than we ever had but we needed him more than we ever had. We needed hope and help and we turned back to God and his church as the source of that throughout our lives. I continue to believe in prayer for healing but within the context of knowing that people's greatest need is to know they are loved by God – any approach to prayer that demeans or labels people is not being done out of that love. We are all known by God and he rejoices in us and our differences, whatever state we're in. We can see sickness and disability as a hindrance or an opportunity for God to show his goodness. It's not that I believe God makes people sick but that as we lean on him in the tough times we encounter his promise that 'his grace is sufficient, his power is made perfect in weakness' (2 Corinthians 12:9). My friend Rev Katie Tupling knows a thing or two about this. Rather than being stopped by her disability, she is an example of how God upholds us and is putting this to use as an advocate for a church that welcomes, serves and learns from people with disabilities. 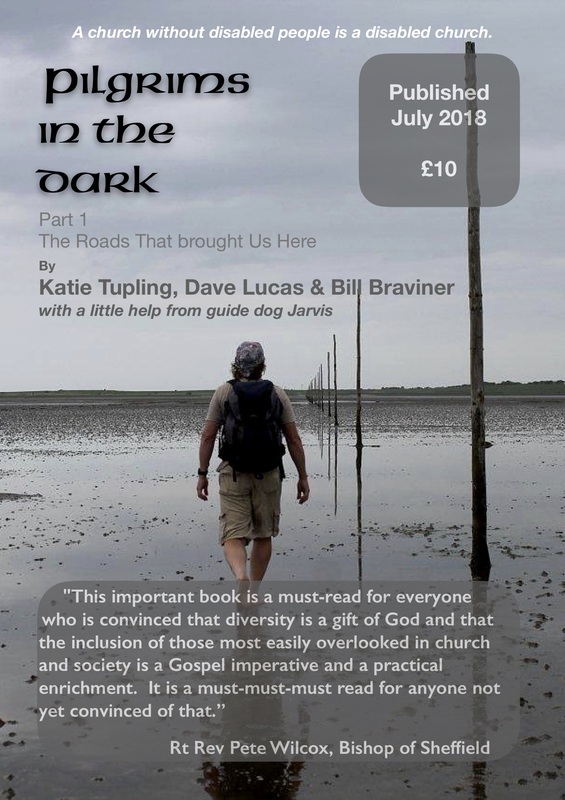 She has co-authored two books, Worship and Disability: A Kingdom for All and Pilgrims in the Dark. So (archbishop type) hats off to Justin Welby. Much as I love Gareth Southgate and his brave tactical nous and overall waistcoated niceness, Justin is doing an even more important job even better – telling people that God is bothered about us all and wants to meet us as we are.